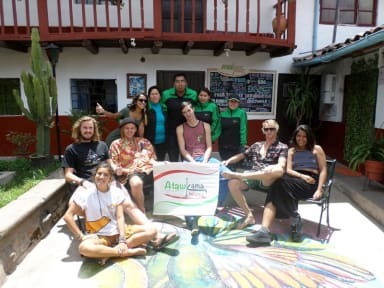 Atawkama Hostel i Cusco, Peru: Reservér nu! Atawkama is a property with a unique colonial and a colorful decoration. Our property will make you feel part of small cuzqueÃ±an pueblo, where you will be able to interact with our international guests. Overall a good stay, but we were told that the hostel had hot Water, but it was only cold.